Code Handle® can be used in both commercial and residential buildings. 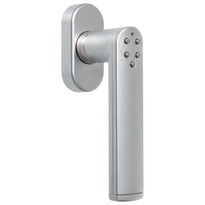 These elegant, modern door handles are particularly suitable for use in shared facilities, such as photocopy rooms, archives and recreation rooms. Code Handle® is an easy, convenient fitting which locks the door via the locking cylinder at night and regulates access via the latch bold during the day. 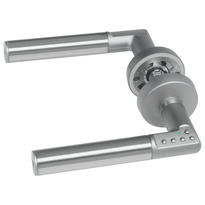 Independent locking is always assured by means of the dead bolt in combination with a self-locking lock. Typical areas of use for Code Handle® are: doctor&apos;s practices, lawyer&apos;s offices, shared office facilities, public administration buildings, schools and residential buildings.